I don't want to miss your birthday, he said. My boyfriend was coordinating his schedule to return to the Philippines for a month and it happened to be my birthday month. I gazed at him across the table with wide eyes. GO! Are you kidding me? GOOOOO!, I almost screeched in the restaurant. It wasn't as if he was "abandoning" me on my special day. I saw it as a gift! A gift of what I started calling on Twitter as, "my 30 days of silence and solitude." Eight days into it and it has been a beautiful present. Days before he left he joked that I wasn't going to miss him being that I scheduled my entire month solid less than 24 hours after he booked his trip. It's not that I don't miss him. I've NEVER had 30 days to myself! That's 30 days to practice self-love and self care. It's the intention I set for 2017. No interruptions during my morning meditation. No T.V. noise as soon as I wake up. I could unplug from the idiocy that is called the U.S. president. 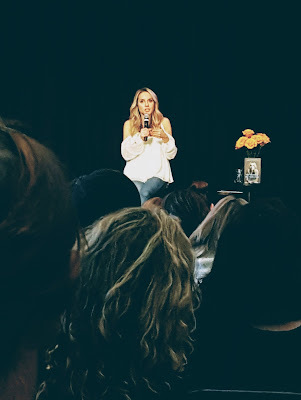 There was no hesitation in buying a ticket for the event when an email in my inbox listed Gabby Bernstein's speaking schedule and one of them was in Hollywood on March 5th! 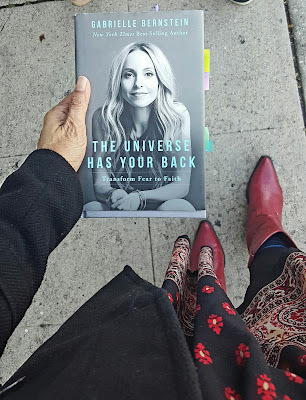 Her books sustained me last year during my dad's sickness and death. I did her meditations and practiced mindfulness. I don't think I would have survived those months without her guidance. I woke up on Sunday morning with barely contained excitement. After meditating, praying, and writing in my journal I knew it was going to be a good day. There was barely any rain and by the time I reached Wanderlust Hollywood it was a beautiful afternoon in L.A. There were mostly women in line with me waiting to get into the venue. While I stood there listening to the conversations around me I realized Gabby has touched and inspired us all in different ways. We were all seeking truth into breaking free from fear, accepting ourselves with love, healing from our brokenness. For me, Gabby opened my eyes to a God bigger than I ever knew. An infinite source of love, healing and power. She's no prophet but a messenger. I'm not new to the "choose love over fear" mindset because the Bible encourages us to do so. But Gabby's books delivered it in such a way that it embedded itself deep into my heart. It wasn't just a concept but a way of life. Her talk on Sunday afternoon was on Undoing The Ego. The dratted ego in all of us who sabotages our mental and spiritual progress. Expose the Ego and be aware of it. Choose again. Choose differently when our thoughts and actions are not aligned with peace. We pray, "I choose to see peace instead." Give it away. Let it go, basically. Pray and ask for our thoughts to be reorganized or taken away. Get aligned. Success always comes with ease and we should ask ourselves, "how aligned I am with God?" This new alignment creates a new reality because vibes speak louder than words. Move into a place of appreciation. Joy increases our chances for success. Success is about being. Be authentic, appreciative, joyful. "Be so lit up by the work." Instead of running from our shame, acknowledge it. Witness it. Last year when I read her book, Spirit Junkie, I learned to acknowledge my feelings instead of numbing myself which I'm an expert in. Her book came at the right time as it was during the months my dad was in and out of the hospital before he died. The biggest takeaway I had Sunday night was when a woman stood up to ask Gabby a question. In a wavering voice, on the verge of tears, this woman spoke about her husband who was not supportive in her work. She felt unsupported and unappreciated. What Gabby said to her made the entire room gasp. "He's mirroring back to you what you believe in yourself." Isn't that a difficult concept to swallow? Immediately the ego throws its hands in the air in defense. It's not the first time I've heard it as there are quotes in different variations that teaches this. The woman admitted she was plagued with self-doubt when it came to her work. How do I apply that to my own life? I've had to ask myself when a certain person bugs the HELL out of me what is he/she mirroring back to me that I believe in myself? If you tell the ego to get lost and are open to the truth you'll be surprised at what you discover. I had a friend who was constantly talking mad trash about others in her life. So much so that it was because of her that I decided to have a "No-adult-no-adulting birthday." The hours I spent having dinner with her was tainted by my irritation at what she "vented" about. It's not that I didn't understand what she was going through in her home life, I just didn't want to spend hours dwelling on it. When I got home that night I caught myself in my acute irritation. 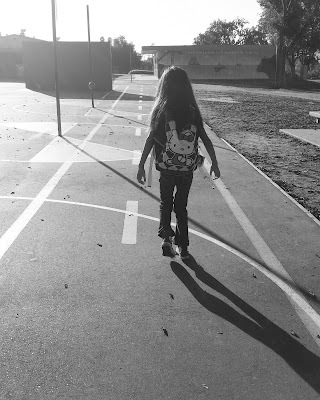 I asked myself, "What is she mirroring to me that I believe in myself?" It wasn't long before I received my answer. I was just as judgmental as she was and gossiped just as badly. Which made me delve deep inside myself to find out why I felt the need to talk trash and gossip. And so begins my birthday month. My 49th birthday will be here in 5 days and I know it takes work every day to make progress. I'm savoring every moment of every day of my 30 days of silence and solitude. My goal is to be a different person when Ray comes home. A better, enlightened version of me. 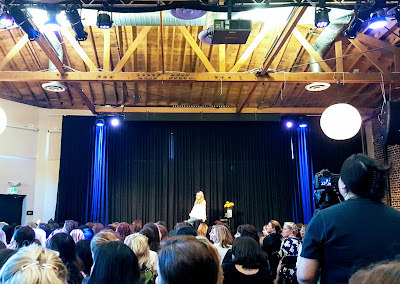 Thank you, Gabby Bernstein, for your message. May you always inspire with love and light.